Please note that the C9AZ-7347-A bearing was replaced by a D1AZ-7347-A bearing at some point after 1970. The C9AZ-A bearing is the part you want if you want the "factory original" look. 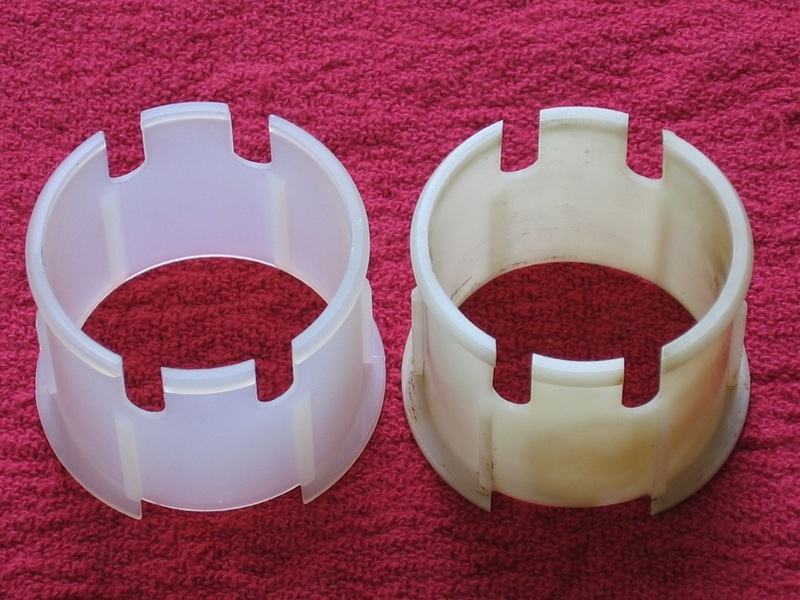 The original C9AZ-A bearing and our new reproduction are made from natural nylon 6/6. The D1AZ-A bearing is notably different because it is shaped differently and is made from black rubber. 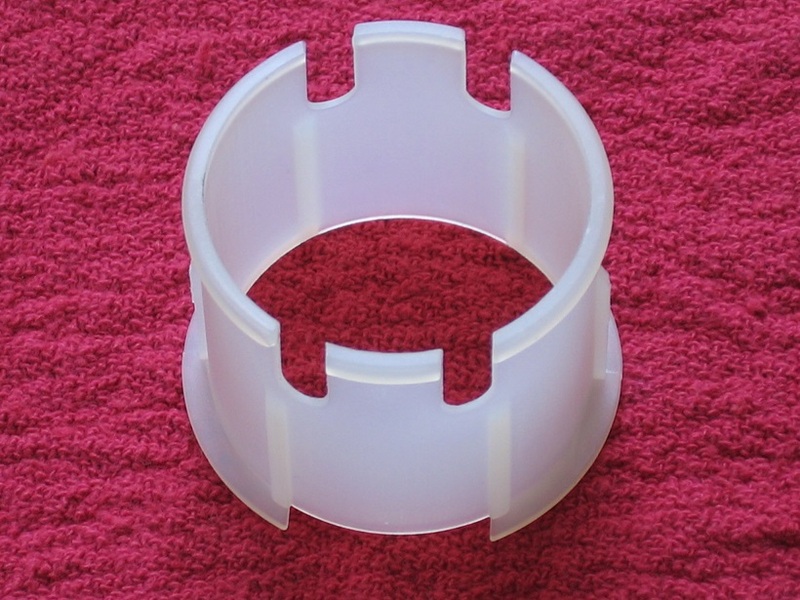 Our reproduction part is missing one detail that allows you to distinguish it from an original part. 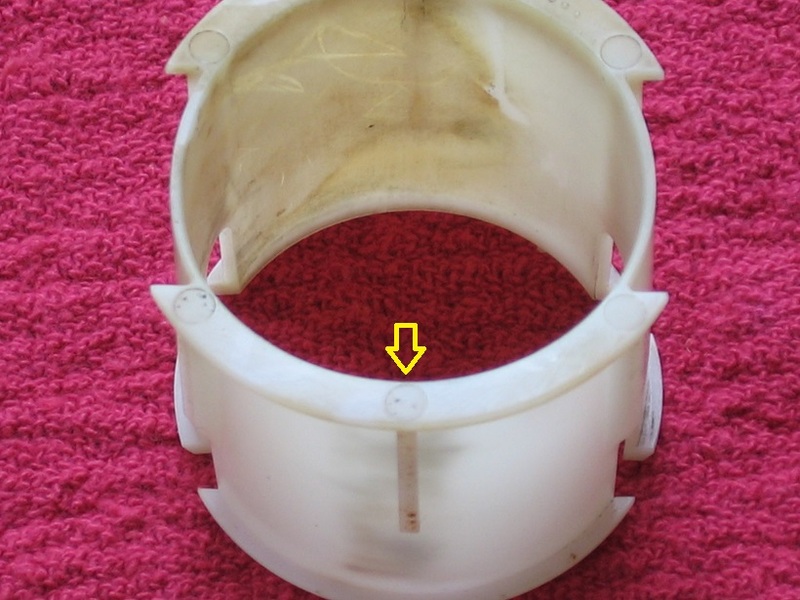 If you look at the bottom of an original bearing you can see six circular mold marks (one of them can be seen below the yellow arrow in the picture below; click on the picture for a larger version). Our part is missing these circular mold marks. Dealer inquiries are welcome - please contact us for pricing.